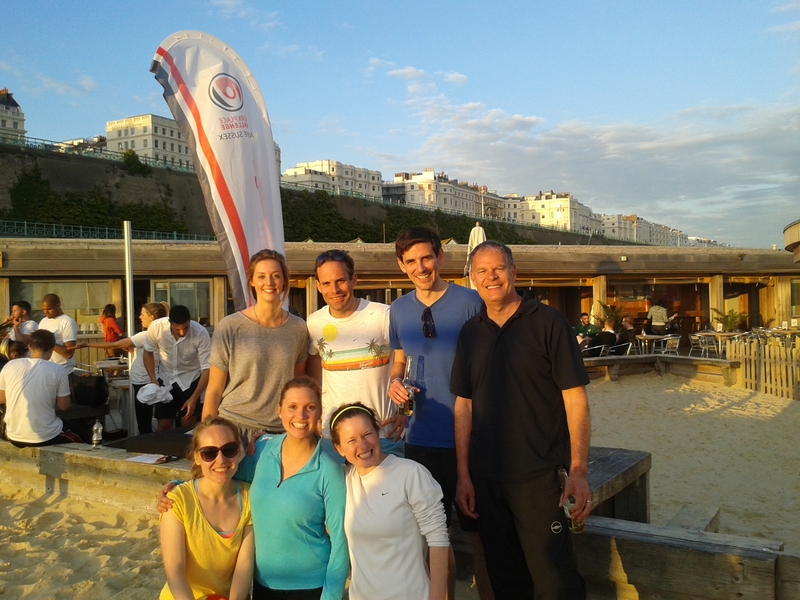 As part of Active Sussex’s Workplace Challenge, Itad’s volleyball team has now taken part in 2 volleyball tournaments during April and May 2015. Although we entered the April tournament with very little practice, we won and lost an equal amount of matches in the first round and squeezed through to the second by a matter of points! Having just made it through, the team were even more determined to make it to the semi-finals, which we did with flying colours! Itad proudly came in third out of 15 teams, thanks in part to Jessie Rust-Smith and her super serves! With competition and excitement levels high, Itad attended a second tournament in the last week of May. With a similar success rate, we made it through to the second round of matches but unfortunately didn’t make it past the quarter finals. We’ll be looking to improve on our performance for the July tournament – watch this space! Itad’s volleyball team is made up of Sam McPherson, Florian Schatz, Grace Elliott, Bara Sladkova, Jessie Rust-Smith, Morris Lab, Sarah Standley and Kelsy Nelson.